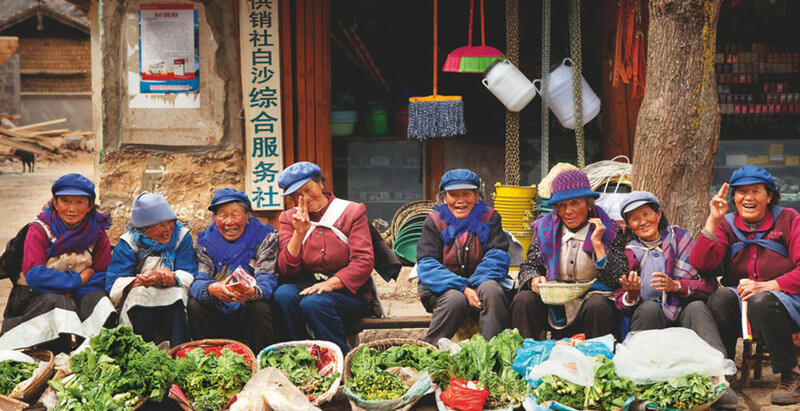 Yunnan is the highlights of this trip, which is the best place to appreciate the natural beauty and explore minority cultures. During this tour, we will visit the most classic sights of Yunnan: Kunming, Dali, Lijiang and Shangri-La. Besides, the top cities of Beijing, Xian, Shanghai, Guilin and Chengdu are also included. 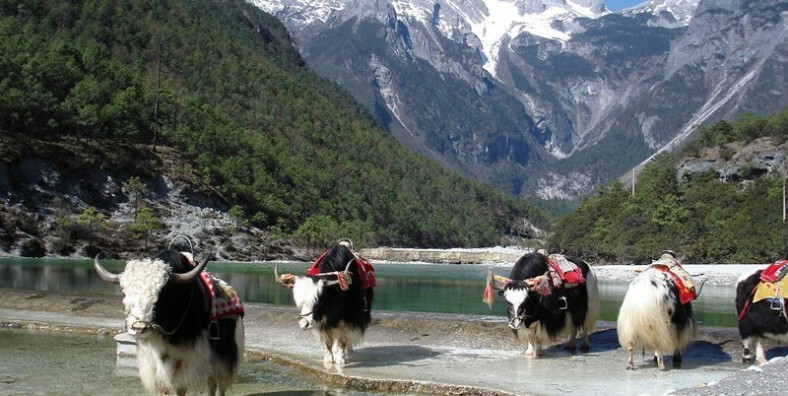 Tour the most classic sights of Yunnan. Get close contact with cute pandas in Chengdu. In the afternoon, we will drive you to the airport for your flight to Guilin. Upon arrival, met by the tour guide and transferred to hotel. Take a Li River cruise to Yangsuo. On the twisty Li River from Zhujiang to Yangshuo, it covers hundreds and thousands of grotesque peaks. You will have lunch on board. Then disembark at Yangsuo and explore Yangsuo’s countryside to appreciate the beautiful rural scenery and farmer’s lifestyle. Then transferred back to Guilin and visit Elephant Trunk Hill, which is the symbol of the city of Guilin, which got its name because it looks like an elephant drinking water. Take the flight to Kunming. A local tour guide will pick you up at airport and transfer you to your hotel. The rest of the day is free at leisure. Breakfast at hotel, our tour guide and drive will pick you up from your hotel and then drive about 85km to the Stone Forest, a notable set of limestone formations and two parts of which have been UNESCO World Heritage Sites as part of the South China Karst. Besides, Stone Forest is also famous for the ethnic culture of the Sani People (a branch of the Yi ethnicminority). After the visit, drive back to Kunming and visit Birds and Flower Market. Then continue the tour to Green Lake Park, strolling around the lake, watching locals do dancing and making music. In the evening, transferred to Kunming Railway Station for the overnight train to Dali(Reference train No. : K9626 23:30-06:42+1, soft sleeper(four-berth compartment). Arrive at Dali Railway Station in the early morning. Meet your local tour guide & driver and transfer to Taiheju Hotel for breakfast and the luggage settlement. Then head to visit Xizhou morning market and Zhoucheng Village. In the afternoon, take a cruise on Erhai Lake. Then visit Three Pagodas in Chongsheng Monastery. In the morning, explore Dali Old Town including the Foreigner Street, the Ancient City Wall of Dali and The Gate Tower. 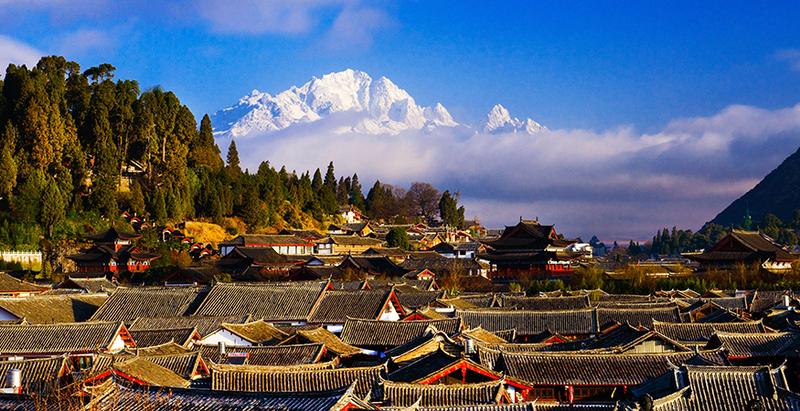 Transfer 2 hours to Lijiang, visit Black Dragon Pool and Lijiang Old Town. Visit Baisha Old Town in the late afternoon. This morning, walk to visit Baisha Murals. Then pay a visit to Yuhu Village and Former Residence of Joseph Rock. In the afternoon, visit Mufu Palace, walk up to the top of the Lion Hill to visit Wangu Tower and enjoy the panoramic view of Lijiang Old Town from Wangu Tower. After breakfast, drive to Shangri-La city. On the way, have a view of the First Bend of Yangtze River from afar and continue to visit Tiger Leaping Gorge which is the deepest gorge in the world. In the afternoon, drive about 2 hours to Shangri-La and check in hotel. Later, stroll around Dukezong Ancient Town and walk up to the top of Guishan Hill to see the Grand Prayer Wheel and have a panoramic view of Shangri-La city and Dukezong Ancient Town. Visit Songzanlin Monastery in the morning. Transfer to visit Napahai Lake. Pay a visit a local Tibetan family and have a simple Tibetan lunch for free. Drive back to Shangri-La city. Explore this city at leisure until being transferred to the airport for the flight to Chengdu. Upon arrival, local tour guide will pick you up and transfer to your hotel. In the morning, explore this city at leisure. Then transferred to the airport for the flight to Xian and the local tour guide will pick you up from Xian airport. After that, visit the the Small Wild Goose Pagoda. At night, enjoy the Tang Dynasty Music and Dance Show(paid by yourself). Today visit the City Wall. And then visit Shaanxi Provincial History Museum, one of the first huge state museums with modern facilities in China and one of the largest with the large storage of cultural relics from the Shang Dynasty to the Qing Dynasty. Have a la carte lunch at a decent local restaurant and then continue to visit the Great Mosque. Later taste some local snacks on the Muslim Street. Take the flight to Beijing. A local tour guide will pick you up at airport and transfer you to your hotel. The rest of the day is free at leisure. Breakfast at hotel, start today’s tour with Tiananmen Square. Go north through the square and you will reach the Forbidden City. As the largest and best-preserved ancient wooden structure in the world, it has more than 8,000 pavilions and thousands of historic treasures. In the afternoon, head to visit the royal altar of the Ming and Qing dynasties – the Temple of Heaven. Then have a fantastic Chinese Kung Fu Show at the Red Theatre in the evening(optional). Get up early to visit Badaling Great Wall. Great Wall is one of the greatest architecture projects in human history. Then visit the Summer Palace , which used to be the summer resort for royal families and emperors.